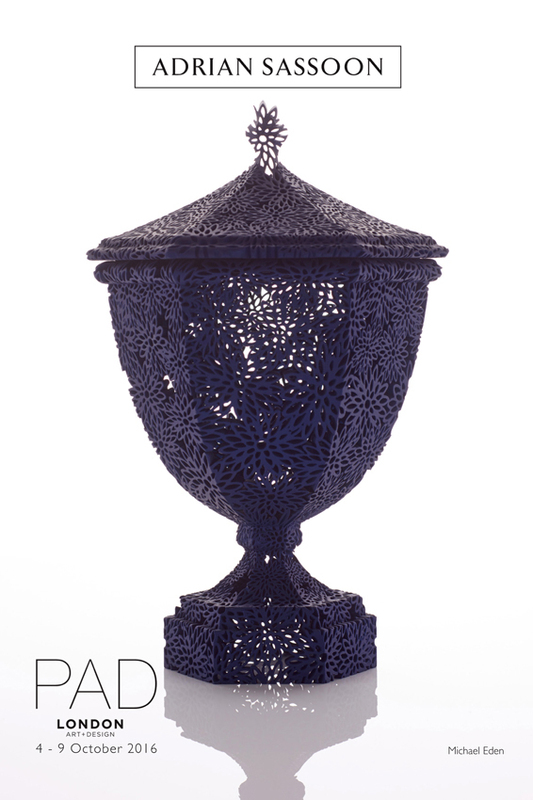 Last week we visited PAD London Art and Design fair in Berkeley Square. PAD specialises in 20th century art and design with a spectacular array of modern art, photography, design and decorative pieces on display. 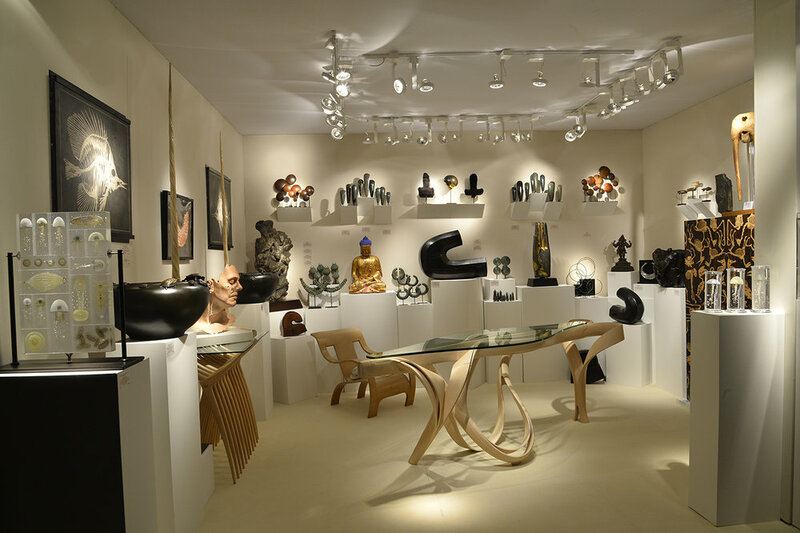 Their exhibitors come to London from across Europe, America and Asia which promised an eclectic selection for sale. As always Adrian Sassoon had a fabulous display of ceramics and glass. Sassoon's background in the arts, having previously worked at J. Paul Getty Museum, makes him an expert in collecting creative and innovative pieces. Sassoon specialises in two categories; Sevres Porcelain and contemporary Decorative Arts. There was a lovely piece by Felicity Aylieff (pictured below) who is known for her exploration of surface detail, in particular stylised flowers and plants. As Head of Ceramics and Glass at the Royal College of Art, she is also recognised for her research into large-scale ceramics. The vessel by Danish glassblower Tobias Mohl (pictured below) was another beautiful piece, made from blown glass and canework - canework is a technique used to add intricate detail through blowing rod-like streams of colour through the glass. Mohl uses traditional Venetian techniques but incorporates a Scandinavian aesthetic to create a contemporary take. 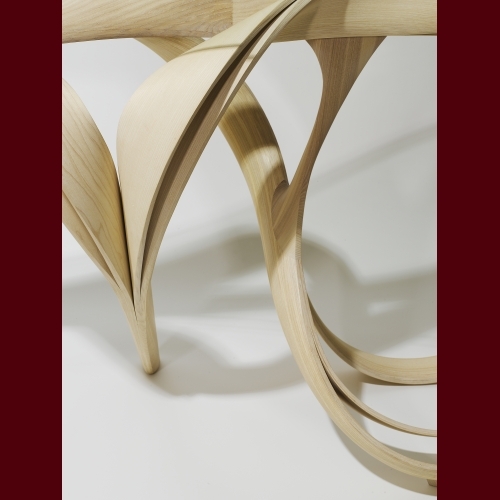 Peter Petrou’s stand comprised unique and dynamic pieces including this truly striking piece of furniture, the console table by Irish designer Joseph Walsh made from olive ash and glass. The piece is beautifully hand crafted in his studio in Cork and comes from his famous 'Enignum' series. He is inspired by his wild coastal surroundings in Ireland, the landscape he grew up with. He manipulates and bends the wood as far as he can, allowing its natural curves to come through to create undulating and sinuous forms that flow through each other. A console table like this would be a spectacular centre piece in a sitting room, especially in a country or coastal home where it could reflect its natural surroundings. Pinto Paris create bespoke pieces of furniture, tableware and accessories. Every piece is designed and crafted by hand, often incorporating rare and luxurious materials. We were inspired by their devotion to French traditions; the company always collaborates with French craftsmen from cabinetmakers to lacquerers and upholsterers to bronzers, stonemasons, parchment makers, and lapidaries who all work using traditional French methods. 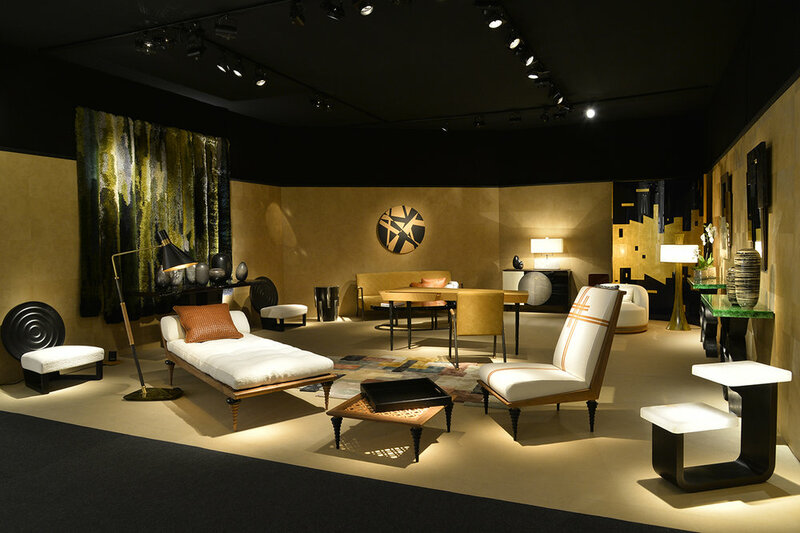 The Logos Sleeper chair (pictured below left) and Heracles seat (pictured below right) were both reminiscent of Art Deco style with a contemporary elegance.